Makes for a great place to nap! 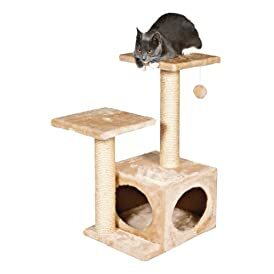 Perfect for small spaces, this cozy cat tree folds away for easy storage when not in use. 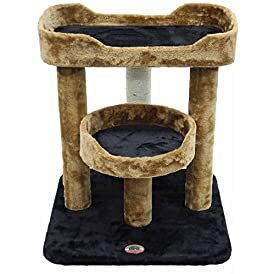 The tower also doubles as a cat bed/hammock and scratching pad. 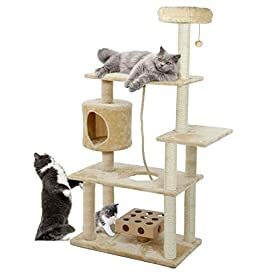 While not huge it makes the perfect. 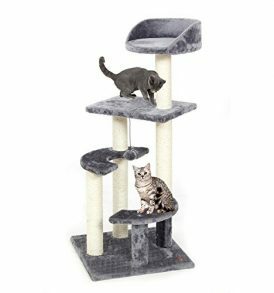 The removable soft insert is machine washable, something your cats will appreciate.